Hand washing with soap is one of the simplest and most powerful ways to prevent disease. With most children going to school all day in Tanzania without being able to wash their hands, there's a great need to provide hygiene education, soap and hand washing facilities to Tanzanian schools. Since water is often a limited and precious resource in many developing countries, Full Belly has developed our own hand washing station made of recycled materials that uses 90% less water than other current hand washing systems. 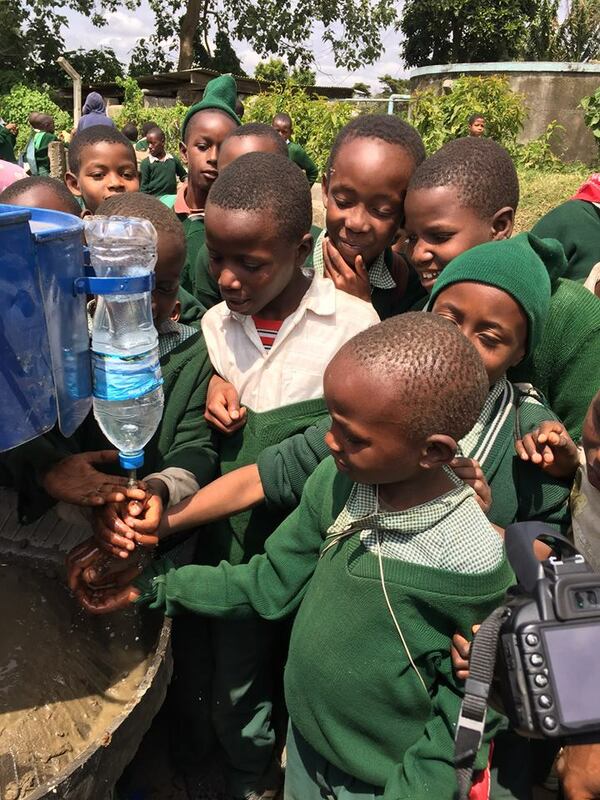 In the spring of 2016 in partnership with the Jane Goodall Institute's Roots and Shoots program, Full Belly was able to build and install ten hand washing stations in and around Arusha, Tanzania. This year, Full Belly has received funding from the Clif Bar Family Foundation to build and install more of our stations in Tanzania, and we're delighted to partner with Roots and Shoots again in the Summer '17 to pick up where the previous project left off, and bring this life-saving device to the children of Arusha! 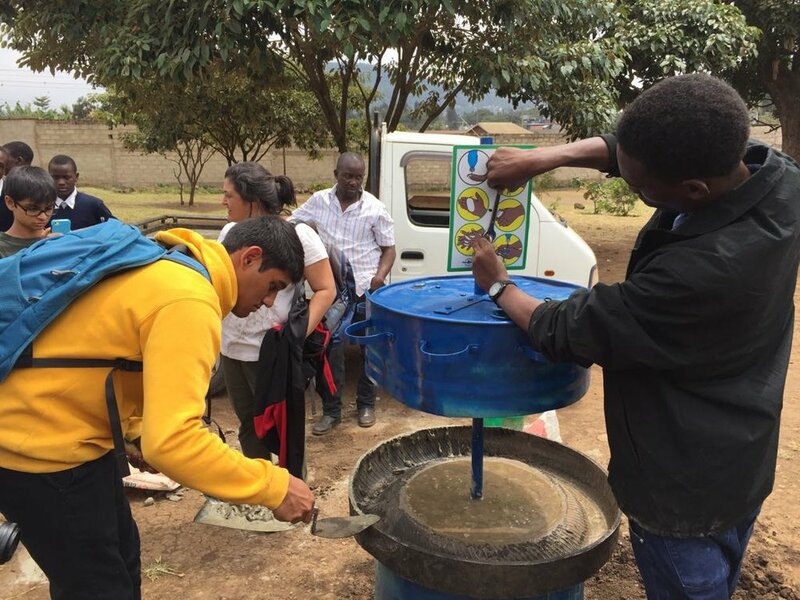 The Batish family has safely arrived in Arusha, Tanzania and is getting right to work educating students and building a hand washing station! WWAY News published a piece about the Tanzania Project! Link to the full article below. Roshun is packing up 7 Rocker Water Pumps to donate to farmers in Tanzania while working on Full Belly's Hand Washing Station project there! He leaves with his wonderful family, the Batish's this Friday morning. Rocker Water Pumps have been successfully delivered! "We delivered them to a rural gifted school and to the Maasai Tribe, a wise, conservationist Tribe. Beautiful experiences!" The Clif Bar Family Foundation was created 11 years ago to "support grassroots groups with inspiring ideas and limited funds." They're supporting smaller, innovative groups that work to strengthen the food system and communities, public health and protect the environment and natural resources. We are so grateful and excited to work with Clif Bar! In 1991 Dr. Jane Goodall founded Roots & Shoots, a program designed to serve youth, to foster respect and compassion and to promote the understanding of cultures and beliefs, to inspire each person to take action and make the world a better place for people, animals and the environment. This is the second time Full Belly will be working with Roots & Shoots to empower communities in Tanzania, we can't wait!